Silvia Boarini is an Italian journalist working across a variety of media. She is based in the Levant where she produces articles, photo-stories as well as audio and video documentaries that chart social injustices and the efforts of civil society to redress them. She is particularly interested in the challenges faced by minorities and indigenous populations who are excluded from the constructed order of the state. She studied photojournalism at the London College of Printing in London and gained an MSc International Politics (Distinction) from SOAS. 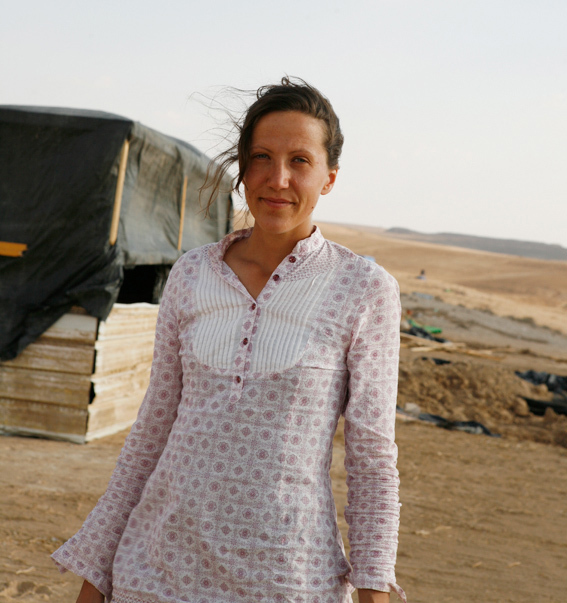 She recently completed her first documentary ‘Empty Desert‘ and since 2013 has been working on her next project chronicling the lives of a group of artists she met in Gaza. Silvia’s work has appeared in outlets such as Radio Tre RAI, Al Jazeera English, AJ+, Repubblica, BBC, Nigrizia, Narcomafie, British Journal of Photography, You Magazine, TAZ, Daily Telegraph, D di Repubblica, IPS , Vanity Fair Italia and others. Silvia’s series on Negev Bedouins, titled ‘Bedouin Land‘, and on life under occupation, titled ‘Land of the Prickly Pears‘, received an honourable mention at the International Picture Award (IPA). ‘Land of the Prickly Pears‘ was shortlisted for the ‘Tom Webster Award for Photojournalism’. ‘The Last Rag and Bone Man‘ essay was featured on BBC London. Copyright Notice: All content of this website is property of Silvia Boarini © All Rights reserved. For permission to use or download any part of this website please visit the contact page to email Silvia Boarini.